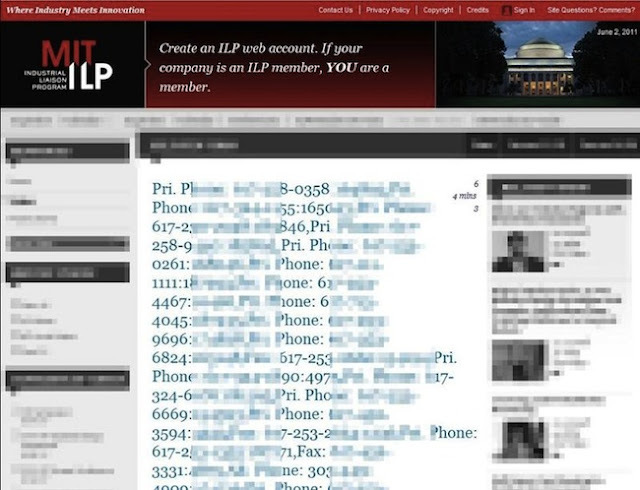 5 Days before MIT's website (http://ilp.mit.edu/) was got hacked by a hacker named Cyber_Owner . This was reported by Korben. According to screenshot it seems that the site ILP (International Liaison Program) at MIT has been hacked. The flaw would be a SQL injection flaw that would give access to the full data base. According catches posted by the hacker, we can see that the database contains all the names and telephone numbers, logins members of the MIT program, but one can also imagine that it is not in basis. The Hacker Post the stuff on pastebin.